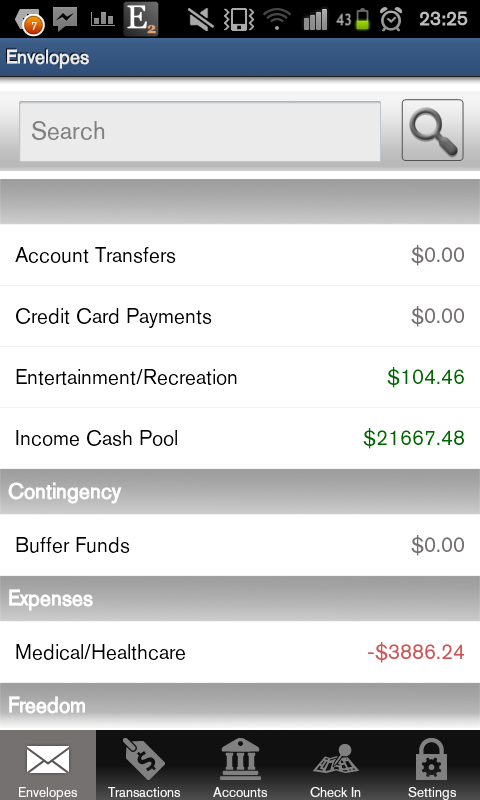 Many friends have asked me to teach them budgeting, how to save money or where to save money. 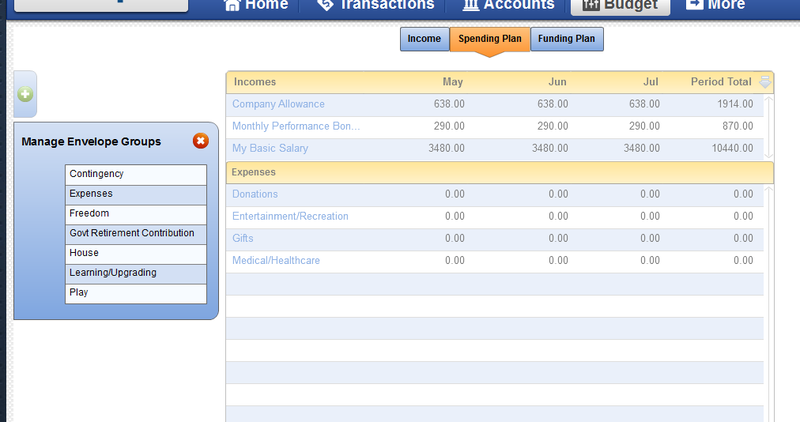 So today i will show you how to budget with Mvelopes, an online budgeting platform that I found recently. Most folks who find themselves out of control with money because instead of letting the power of compounding work for them it lets the concept work against them. If you build good money habits in your high school, college and university days, it compounds later in life in that you start off right and you will see good money flowing in. 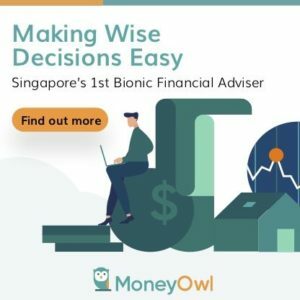 In contrast, if you build bad money habits such as not finding out about personal finance, the benefits and repercussions of debt, the lack of these knowledge will compound when you come out to work, when you have more money to mismanage. Most folks I encounter are not so bad that things cannot be remedied. It all starts from an audit of how you spend money in the past. Then they asked themselves where they want to be. This follows by a plan how you will spend your money. This is the budget. 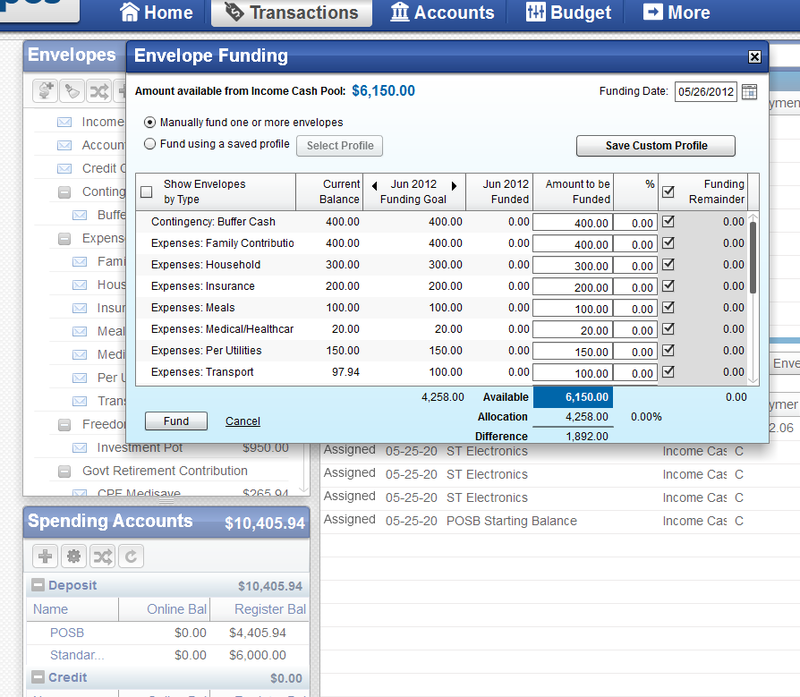 In the current market, I find that there are many cheap/free budgeting software that just don’t measure up. 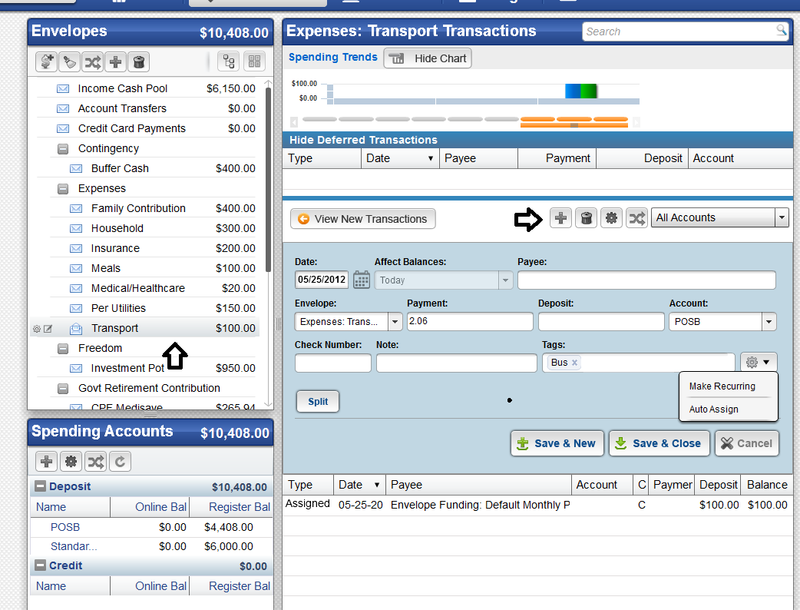 The paid software are pretty well done up with the functionalities I am looking for. However, the people that needs the most help probably will not budge to spend 100 bucks per year or 60-80 bucks to acquire them. What do I mean by not measuring up? Quicken fit that need. So does YNAB. The problem is all those online ones do not. They don’t do scheduling of transactions. The focus for these apps is that they are very US centric and thus make it a point to integrate with various banks and financial institution to have automatic aggregation of bank transactions. For international investors this is not a priority. Thus it is great that I manage to find this online personal finance app call Mvelopes. This will enable them to make sense of their finance goals and be able to clear their debt. It used to cost $9.90 usd per month to manage your money. That’s hefty. Since January 2012 they have moved to a freenium model, but still keep the $9.90 plan. And that for the price of free. 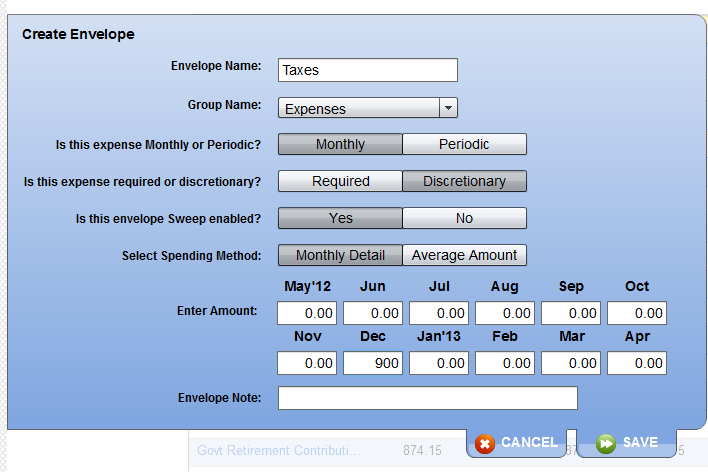 I believe that envelope budgeting is a more psychological way to manage and control your finances. The beauty of enveloping unlike traditional money management is that it places review and setting limits before consumption. The amount of money you fund gets depleted if you spend too fast and it builds up if you spend too little. That way it is intuitive to tell whether you are over or underspending. Drilling down to a detail level enables you to be able to know what are the accounts you can cut funding to. Jack is your regular salaried Singapore worker. He just started work not too long ago and draws a salary of $3000. Jack does not have 13 month bonus, but this amount is divided into 12 months of $250 of performance bonus. He also gets a $550 allowance. So Jack is an avid reader of Investment Moats and he decides to sign up for Mvelopes to be his money management platform. He finally gets to the main screen and the first thing he does is go to Accounts. There he creates two savings account he use currently: POSB and Standard Chartered. These are the two accounts which is pay will flow into and fund his future. 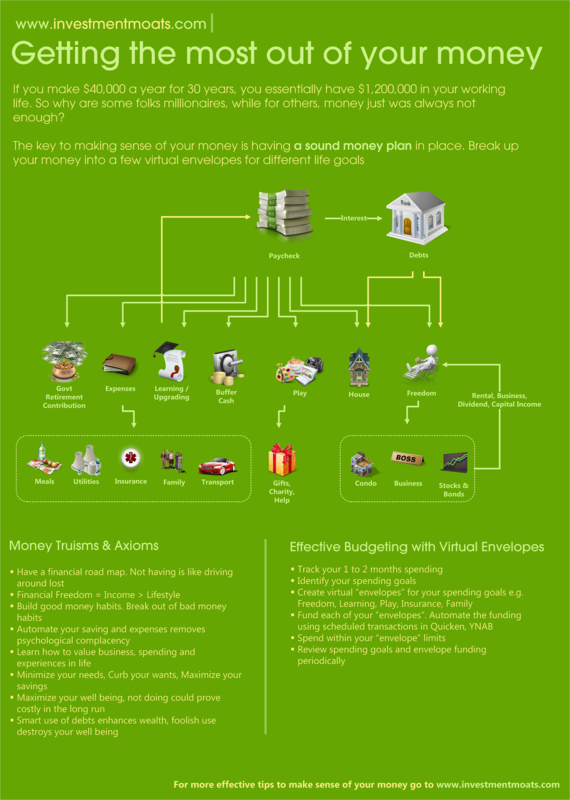 Jack remembers coming across this Infographic on Investment Moats, and the life goals illustrated matches close to his. Those will be his life goals. The next step is to come up with envelopes linked to these life goals. Jack’s tasks is basically to decompose these life goals into smaller packages. Expense will decomposed to Family Contribution, Household, Insurance, Meals, Medical/Healthcare, Personal Utilities, Transport. Play will decomposed to Entertainment/Recreation,Gifts, Hobbies, Merchandise and Grooming, Vacation. The task at hand is to balance how much control versus ease of management. Jack goes to the Budget tab and selects Income. This is where Jack will list out his three sources of income. 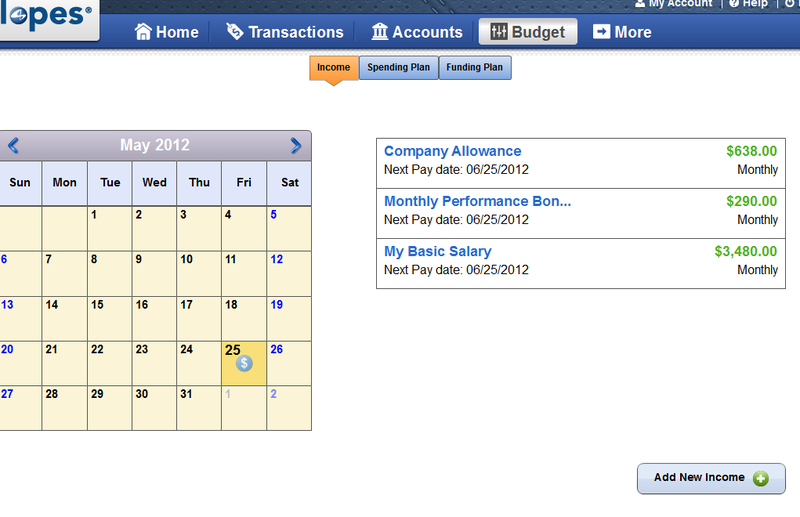 Jack can specify when he will be paid and when is the next pay date. Next, Jack clicks on the Spending Plan Tab. Here he first click on the green plus on the left side where he will be able to create 2 things: Groups and Envelopes. The groups will be how the envelopes are grouped together, and in this case it will be Jack’s Life Goals. The envelopes will be the envelopes Jack planned for previously. 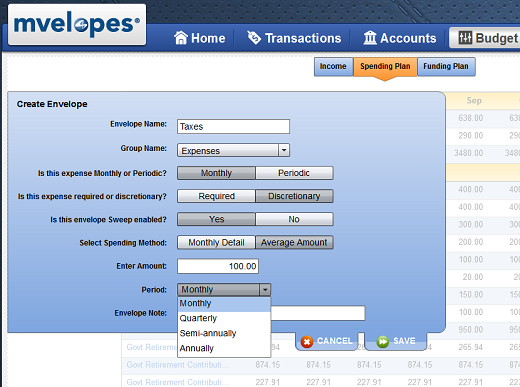 The unique thing about Mvelopes is that Jack can specify whether the spending method is Average Amount or Monthly Detail, which lets Jack plan his spending in detail. The result is something like the above. Jack has created many envelopes tag against life goal group and have assigned how much he should allocate to each envelope. Notice that he is able to change the allocation in this view and not having to go into the detail view by clicking on the edit icon. 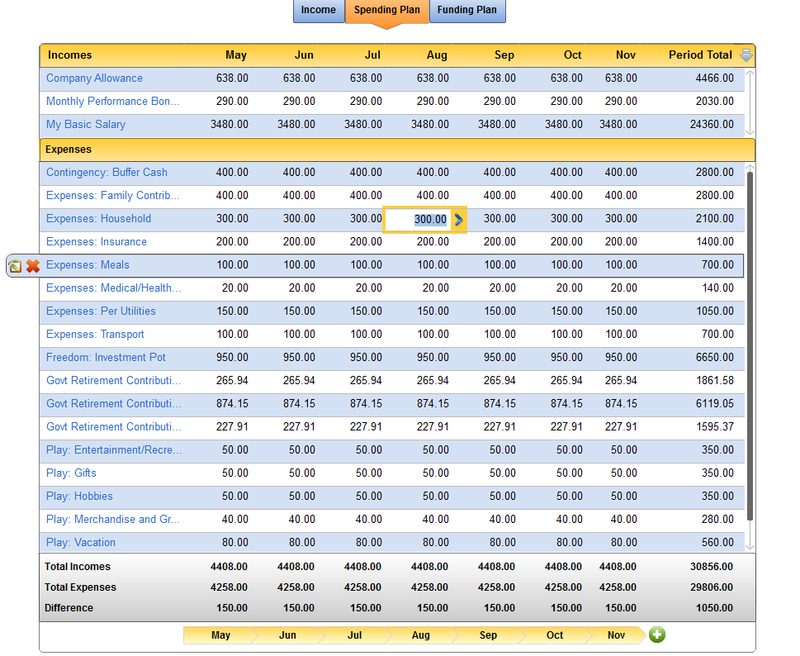 At the bottom, the table shows a summary Total Incomes versus Total Expenses. It helps Jack to see if he is over allocating or under allocating. How much should Jack allocate to each envelope? The trick here is for Jack to allocate all his income so that he is left with zero. There will be a time during reviewing where Jack have to see if there are alternatives to certain Needs. Can he switch to a scooter instead of owning a car? Would that save money? Next Jack clicks on Funding Plan to allocate his income into each envelope. Note that this is still a plan! This is not the actual funding. Here Jack allocates which envelope gets funded by which income source. Do note that Jack here gets his income in all at the same time. It may matter more when the income comes in on different dates. The goal here is to ensure all the envelopes are fully funded. You can see that under Investment Pot the $950 actually comes from two sources. But Jack doesn’t want to do it every month during pay day. 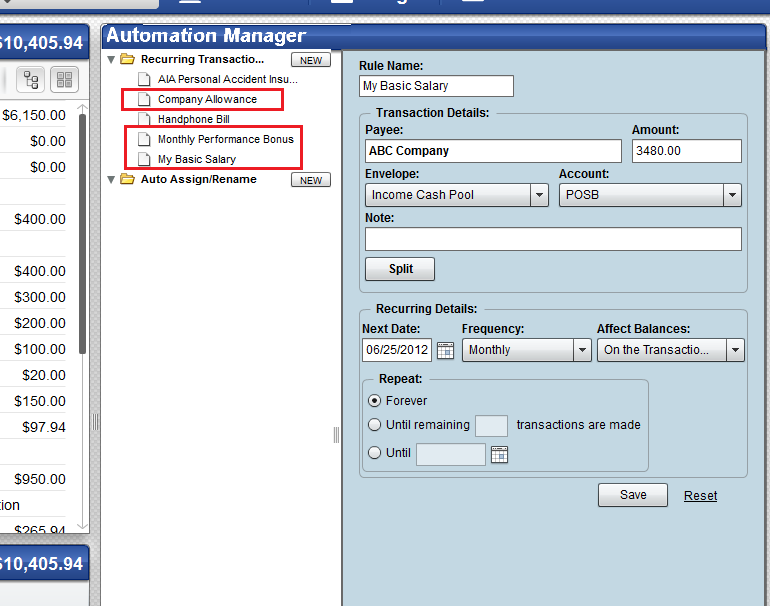 He can set up automatic recurring transaction for his income so that every month these income gets auto added as transaction during pay day. Jack clicks on the gear icon to bring him to the Automation Manager. Here Jack can set up his Recurring Transactions. These transactions auto inserts into the POSB account. Note: Unlike Quicken, Mvelopes does not give you a scheduled recurring list and you have the option of approving the transaction. This gives you the opportunity to amend the transaction in case you don’t have the chance to login to Mvelopes. This is also one area Quicken is much superior. This means that if Jack got a raise or got his allowances cut suddenly, he would have to quickly change the recurring transaction before the pay date or amend the transactions for this month and update himself. With the deposits automated, Jack can start funding his envelopes! 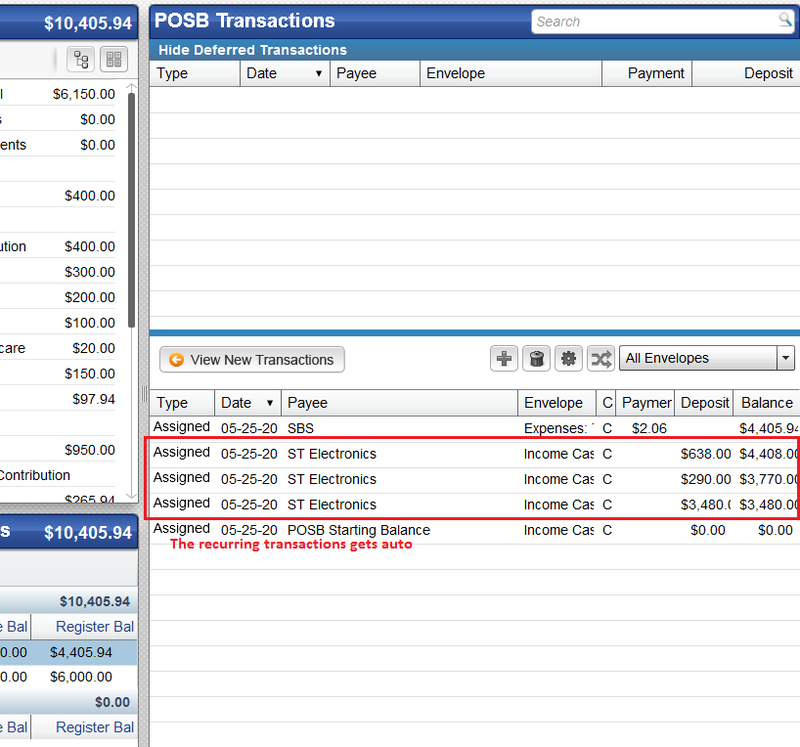 Recap: Jack’s income gets deposited into his POSB account every month. All his cash gets aggregated in total. This is the amount he can “Fund” his Envelopes. Jack clicks on the dollar icon on top. This is where it might get a bit confusing. The $6150 is the amount available. Why isn’t it $10405? That’s because Jack had already did one round of funding. So Mvelope automatically takes that portion off the equation. Jack only has 6150 to fund for the next round. In the column amount to be funded, Jack can choose the amount to fund. He does not have to always fund the amount set aside in his funding plan. 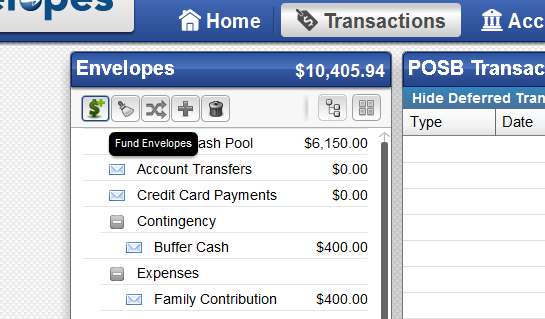 Alternatively he can choose to check the checkbox next to Funding Remainder, which will automatically fund each envelope with the full amount. To carry out the round of funding, Jack can click on the Fund button. 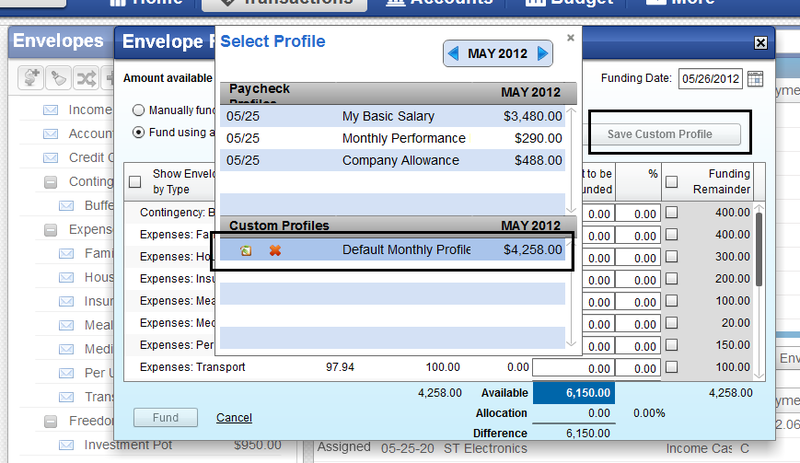 But before we click the button, Jack can choose to save this funding set using the Save Customer Profile button. In the future, Jack can choose Fund using a saved profile and choose this saved profile. Jack can click on which envelope he wants to use, in this case, the Transport envelope since he made 2 trips of $1.03 each. He will click the cross to create a new transaction. 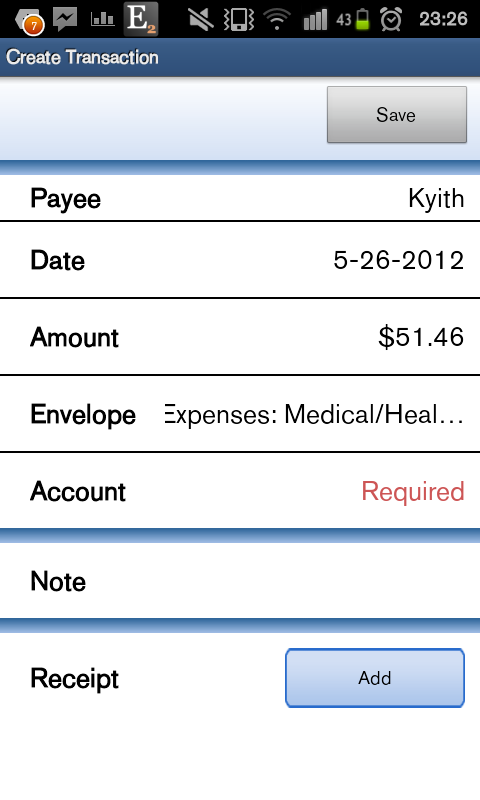 One thing I don’t like compare to Quicken is consistently being forced to put a Payee. You can also make this transaction recurring. Here, Jack has a scheduled transaction where Mvelopes will automatically insert an expense to the Insurance envelope assigned to POSB bank on every 24th of the month. 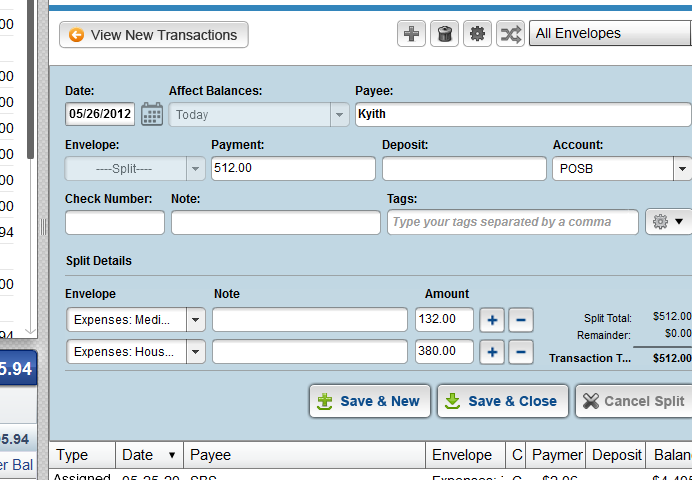 This is ideal for bills that is automatically debit from your bank account. Mvelopes will also allow Jack to split a particular bill into more than one envelope. If Jack goes to the supermarket, he may buy items from more than one places. Mvelopes have Android and iOS Apps to allow Jack to easily add transactions to it. My only gripe about the apps is that they are very very unpolished . But still the ubiquity is great. For the most part, Jack will be doing monthly Funding and Tracking of spending that’s all. On a quarterly basis, it will be good for him to review his spending plan. Is he allocating too much to something? Can cash be free up to be allocated to somewhere needed? If not, perhaps he can increase his buffer cash? Jack may want to cross check if the amount in Mvelopes are similar to his actual POSB and Standard Chartered account. 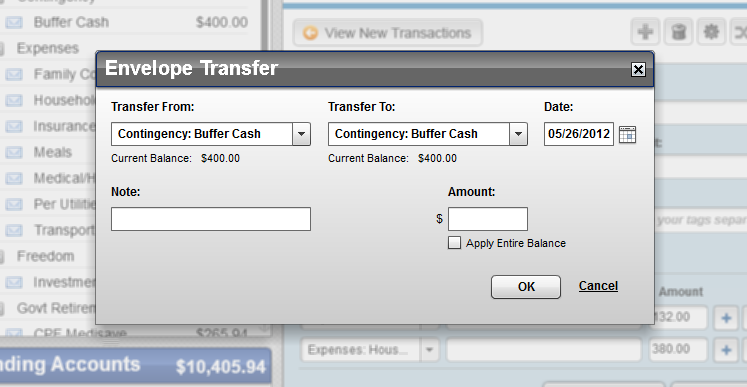 If Jack is not using some money in one of his Play account, and feels in the future he would not need to set aside money for that, he can always transfer to the Buffer Cash envelope. That looks like a lot of work! Many complain to me that they do not want to track their spending every day. It is a whole lot of work. To me, I don’t think it’s a lot of work. 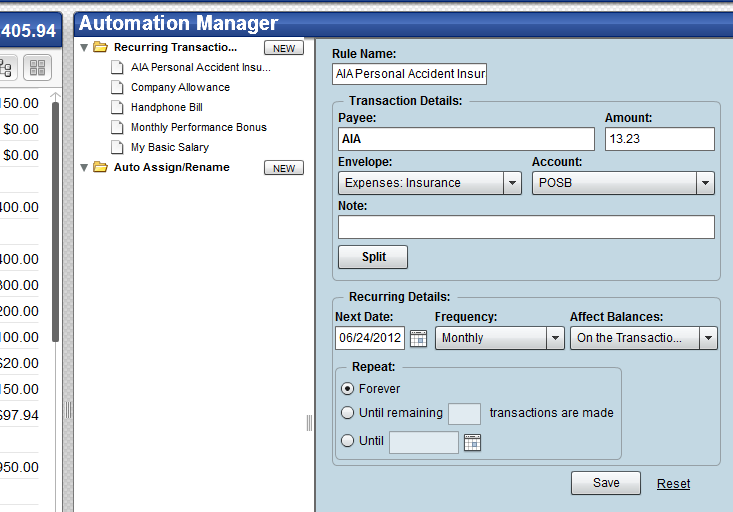 The key here is to automate as much of the bill payments as possible. 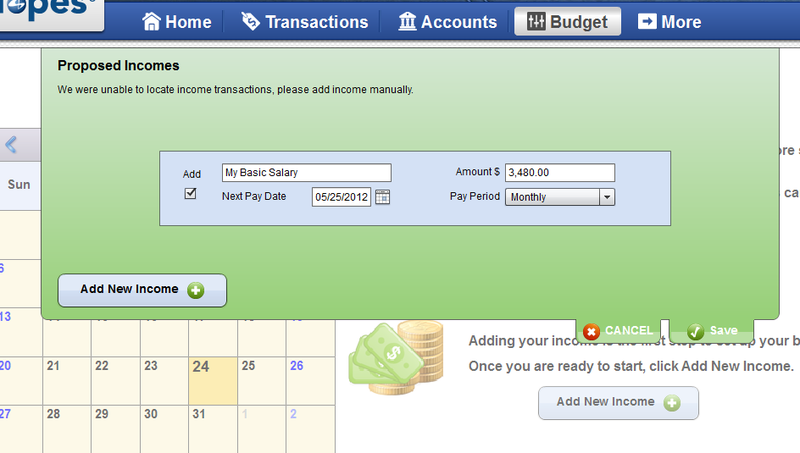 All your income gets credited automatically via the system. So are most of your bills paid by GIRO. How long do you think these will take? I don’t think it is a lot. What don’t I like about Mvelopes? Scheduled Recurring Transactions automatic. I would have prefer that they let us approve inserting the transactions into the database instead of automatic. Slow Speed. Every thing seems slow. Perhaps because it was made free. I really appreciate the team choosing to have a free version. Many folks who need something like this are already facing a financial crunch and asking them pay 120 per annum perhaps is not a sensible thing. That said, great product. 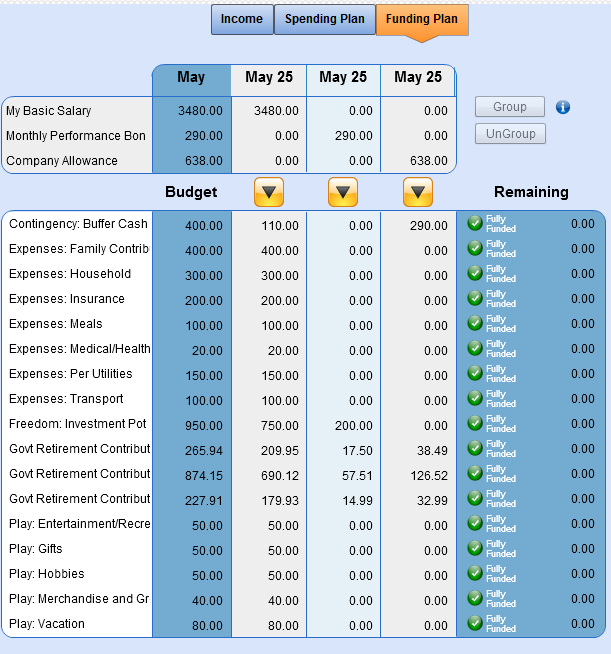 It is ubquitous and does a great budgeting method well. I would probably still be on Quicken, but I will run Mvelope concurrently. Do give it a try and tell me what you think.